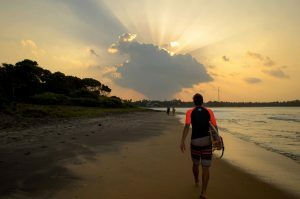 The eastern coastal region of Sri Lanka is home to some of the great attractions in the country that has been overlooked by many visitors. Read on to know more about these places. The eastern coastal belt houses a variety of beaches that boasts stunning backdrops along with clear blue waters and white sand. Some of the popular beaches in this region are Arugam bay, Kuchchacveli, Nilaveli, Kalkuda and Pasikuda. Hotels and accommodation options the likes of Amaya Beach Pasikudah are found just a few meters away from the many beaches the region has to offer. The eastern region of Sri Lanka suffered a lot and was cut off from the rest of the country for a long time due to the civil war but now the story is very different here! As the war has ended and more and more property developers and resort owners have turned their heads towards this region, many new resorts are being built along the coast. Also, more and more tourists are arriving at these regions without any fear. There is a myriad of places on the east coast that are worth visiting other than the amazing beaches. The Trincomalee harbour, Koneshwaram temple, Kumana national park, the Deegavapi Stupa are some of the places that you might want to consider visiting. The region offers a variety of exciting activities for tourists some of them are snorkelling, diving, whale watching charters, surfing and windsurfing. It will be hot and the weather will be sunny during most of the days throughout the year so consider wearing a sunblock cream and wear appropriate clothing that could help you beat the heat.